Start your path to better hearing at Kampsen Hearing. We offer products and options from most major hearing aid manufacturers to provide our patients with the best choices in the Tampa area. Batteries come in 4 sizes, you can identify your battery by the color or number associated with that size. All batteries will be labeled with both the number and color but each manufacturer may place it in a different or unique spot. Bluetooth hearing aids wirelessly connect to many devices including televisions, cell phones and FM systems (if the devices are equipped with Bluetooth technology). Sounds are electronically transmitted directly from the source to the hearing aids. Just about every style of hearing aid is compatible with Bluetooth technology. If your work or hobbies require you to regularly use a cell phone, mp3 player, television or computer audio, these hearing devices may be worth consideration. 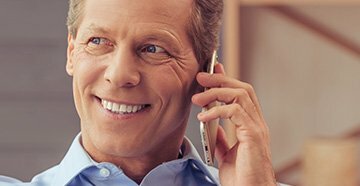 CaptionCall makes it easy to communicate with friends, family and colleagues even if you have trouble hearing on the phone. This revolutionary service quickly provides written captions during your conversation via an easy-to-read screen on the phone. The device also provides audio and frequency settings that can be customized to your hearing loss. Hearing aids can be equipped with a telecoil, a built-in feature that allows for hands-free cell phone use. Hearing aid compatible cell phones meet strict government requirements for quality. The telecoil works with different accessories such as a neckloop or earhook silhouette to provide sound directly to the hearing aids. Both involve the use of magnetic signals sent wirelessly to the telecoil. These accessories help cut down on buzzing, feedback and interference between hearing aids and cell phones. Hunters and shooters know the importance of hearing protection. Electronic hearing protectors not only protect your ears from damaging noises but also amplify the sounds around you. These in-ear devices can be custom-molded and custom-programmed for a precise, comfortable fit. Hansaton offers customized hearing systems tailored to your needs. There is a wide variety of behind-the-ear and in-ear systems available with brilliant sound and speech clarity. You choose top quality and innovative technology when you choose Hansaton. HyperSound technology allows you to hear high-quality audio directly via your hearing aids while others in the room hear sound from the television at a normal level. 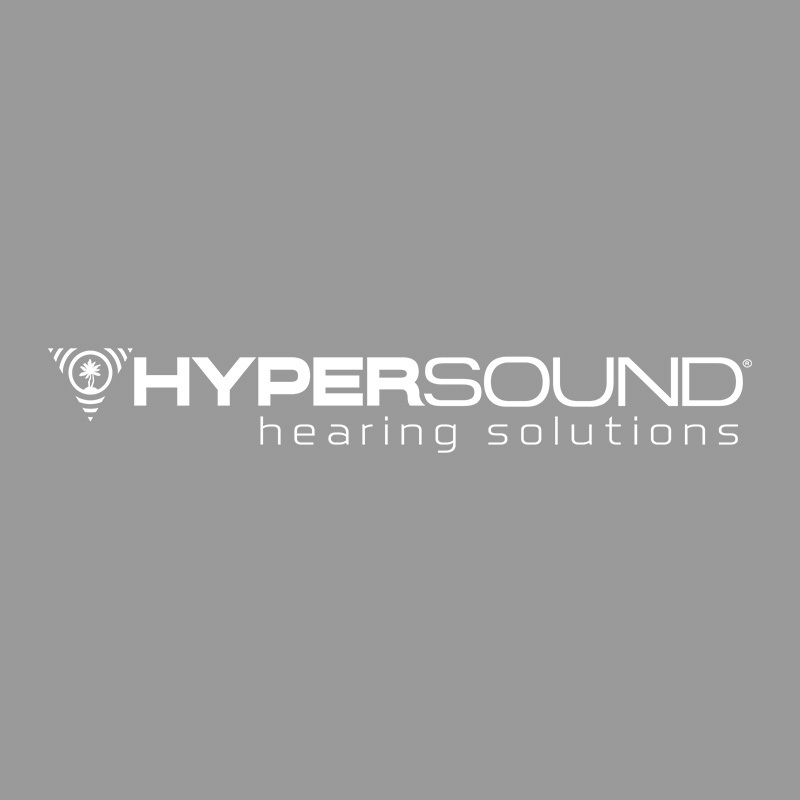 HyperSound provides clarity and beams audio directly to you, providing an experience similar to wearing headphones. Lyric is an extended-wear hearing device that can be worn 24 hours a day, seven days a week for up to four months. It is placed in the ear canal and is 100% invisible. Because it stays in your ear canal, you don’t have to worry about changing batteries or turning it on and off. The Lyric’s unique design helps reduce background noise and feedback with natural sound quality. Oticon provides a variety of hearing aid products to deliver excellent sound quality and reduce noise. Options include tinnitus sound treatment (with or without hearing loss), wireless sound streaming and rechargeable devices. Phonak hearing aids offer performance and cutting-edge technology. With a large selection of options and styles, Phonak devices can meet your needs in the size and color you want. The company provides hearing aids for adults and children along with accessories including microphones and wireless connection devices. ReSound hearing products create a natural listening experience with hearing aids, apps and wireless accessories to make sure you hear the sounds you want to hear. With a variety of behind-the-ear and in-the-ear choices, there’s a perfect fit for your comfort and lifestyle. Signia hearing aids deliver the sound that nature intended. With state-of-the-art features such as direct streaming of phone calls and audio, remote control and clarity in noise, there is a style that is right for you. Signia offers a wide variety of hearing aid models, including the nx and primax. Sonic wants to help improve lives through enhanced hearing. The company has a large range of styles and models with innovative technology such as wireless connections to smart phones and natural sound. Accessories include TV and telephone adapters. From wireless to invisible hearing aids, Starkey has a model that’s right for you. From invisible-in-the-ear to behind-the ear hearing aids, sound immersion and noise reduction, Starkey has a device to suit your needs. Unitron puts the wearer first to create products to make a real difference in people’s lives. With technology that puts the spotlight on speech understanding and some of the smallest hearing aids available, for Unitron it’s all about comfort. Widex strives to find solutions to individual hearing loss, offering an advanced natural sound. Widex hearing aids have a longer power life and seamlessly connect with our iPhone app. The customizable BEYOND app offers connectivity anywhere and anytime.